We've sold this tote since the day we opened and everyone loves it. Relaxed, washed canvas meets bright, crisp leathers in this lightweight tote featuring a stiff base with gold-tone metal feet to keep it clean, and a zippered closure to secure its contents. Dimensions are 15.50(L) x 13.75(H) x 7.25(W) with a 7.5" handle drop. All personalization is done on the leather pocket in gold. 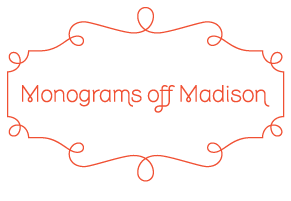 In the monograms where all the letters are the same size, the initials would read first, middle, last. For the monograms where the center letter is larger which includes the circle monogram, the initials would read first, last, middle. The heights of each font are JUMBO 1”, CIRCLE	1 ¼”, MINI	5/16”, BOOKMAN STANDARD MONO 5/8”, BOOKMAN LARGE 5/8”, LOWERCASE 5/16”, TYPEWRITER ½”. The width is determined by the height. Select a color below to see a picture of the product.